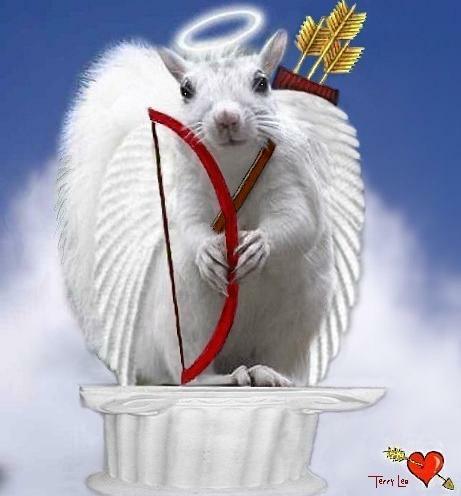 Valentine's Day is celebrated on 14th February, the feast day of St. Valentine. It is a traditional celebration in which lovers, partners and married couples express their love and affection for each other. In some countries it is known as The Day of Lovers or The Day of Love and Friendship. These days it is celebrated with the exchanging of cards known as valentines, with patterns on of hearts or Cupid; but with the rise of the Internet the custom of exchanging virtual cards has also increased. 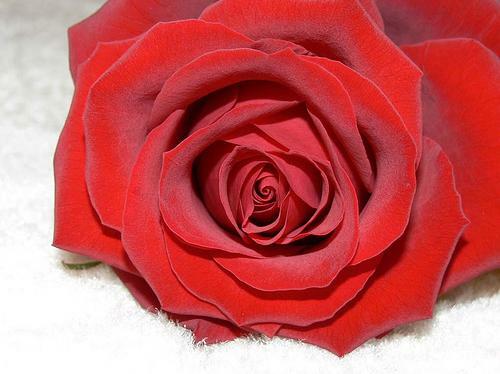 Common as well is the tradition of giving roses or tokens of love. Se celebra el Día de San Valentín el 14 de febrero, onomástico de San Valentín. Es una celebración tradicional en la que los enamorados, novios y esposos expresan su amor y cariño mutuamente. En algunos países se conoce como Día de los Enamorados o Día del Amor y la Amistad. Actualmente se celebra con el intercambio de tarjetas de amor conocidas como "valentines", con símbolos como la forma del corazón o de Cupido; aunque con el auge de Internet se ha extendido la costumbre de intercambiar postales virtuales. También es común la tradición de regalar rosas o regalos que representan el amor. Since the nineteenth century, people have exchanged cards and gifts like roses and chocolates. The gift of roses is common between couples, friends and family, and the colour of the roses determines the message expressed. 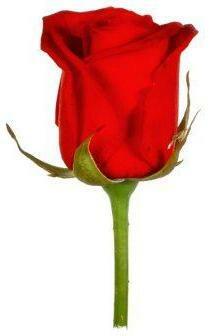 For example, the red rose symbolizes love, white represents peace and yellow represents friendship. However, like most holiday celebrations, Valentine's Day has been commercialized and now many think it seems more like a celebration organized by the shops and department stores as any hint of romanticism has been lost. No obstante, como la mayoría de las fiestas, el Día de San Valentín se ha comercializado y ahora muchos piensan que parece una fiesta organizada por las tiendas y los grandes almacenes; o sea, todo lo que tuviera de romántico se ha perdido. 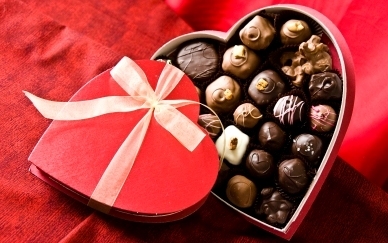 Why do we celebrate Valentine's Day and how did it start? 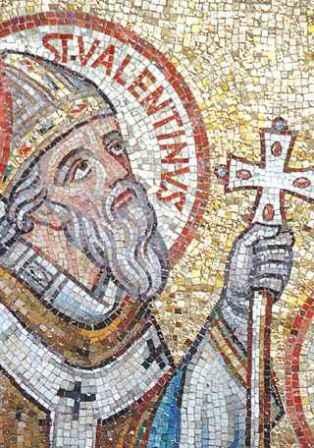 Pope Gelasius declared 14th February St. Valentine's Day around 498 A.D. Various theories exist regarding how Valentine's Day started and one of those describes a story that mixes drama with romanticism, whereas others claim that the celebration came about due to a pagan festival that was christianized. ¿Por qué celebramos el día de San Valentín y cómo empezó la fiesta? Pope Gelasius declaró el 14 de febrero como el Día de San Valentín alrededor del año 498 A.D. Existen varias teorías acerca del nacimiento del Día de San Valentín, y una de ellas se encuadra a una historia que mezcla el drama con el romanticismo, mientrás otros sostienen que se trata de una fiesta cristianizada del mundo pagano. 1) Valentine of Rome: a roman priest who was martyred around the year 269 and was buried on Via Flaminia. His relics can be found in the Church of Saint Práxedes in Rome and in the Carmelite church of Whitefriar Street in Dublin (Ireland). 2) Valentine of Terni: around the year 197 he was named bishop of Interamna (now called Terni). He is also buried on Via Flaminia, but in a different place to Saint Valentine of Rome. His relics can be found in the Basilica of Saint Valentine of Terni. 3) A third saint called Valentine (according to the Catholic Encyclopedia) was mentioned in the early martyrologies under the same date (14th February). It only states that he was martyrized in Africa with some companions. 1) Valentín de Roma: un sacerdote romano que sufrió el martirio cerca del año 269 y fue enterrado en la Vía Flaminia. Sus reliquias se encuentran en la Iglesia de Santa Práxedes en Roma y en la iglesia carmelita de Whitefriar Street en Dublín (Irlanda). 2) Valentín de Terni: alrededor del año 197 fue nombrado obispo de Interamna (la actual Terni). También está enterrado en la Vía Flaminia, pero en otro lugar que San Valentín de Roma. Sus reliquias se encuentran en la Basílica de San Valentín en Terni. 3) Un tercer santo llamado Valentín (según la Enciclopedia católica) era mencionado en primitivos martirologios bajo la misma fecha (14 de febrero). Sólo se dice que fue martirizado en África con varios compañeros. What is the the history of St Valentine? There are various legends regarding the history of St Valentine; the only thing that can be said for sure is that there is lots of mystery and his exact story is not very clear. One of the most well-known legends dates back to Rome in the 3rd century. In this period, soldiers were not allowed to get married because it was believed that single men were better soldiers in battle than those that were married, because they were emotionally attached to their families. Faced with this situation, the figure of the Christian priest Valentine appeared, who considered the obligation on soliders not to marry to be injust. He therefore decided to unite partners in matrimony with the Christian blessing. Through his actions, he emerged as the protector of those in love, because he carried out secret marriages all over Rome, until he was summoned by the Emperor Claudius II. Asterius, a deputy of Rome, was responsible for the condemned Valentine. He made fun of Christianity and put Valentine to the test, asking him to return the sight of his daughter who was born blind. The priest accepted and performed the miracle. Asterius and his family became Christian, but they could not save Valentine from death, and he was executed on 14th February. Two centuries afterwards, the Catholic church revived the story and shortly afterwards, Valentine was canonized. Hay varias leyendas en cuanto a la historia de San Valentin; la única cosa cierta es que hay mucho misterio y así su historia exacta no es muy clara. Una de las leyendas que más se conocen es la que se remonta a la Roma del siglo III. En esta época, estaba prohibido el matrimonio de los soldados, dado que en el reino creían que los hombres solteros eran mejores soldados de batalla que los que estaban casados, por estar emocionalmente ligados a sus familias. Ante esta situación nació la figura del sacerdote cristiano Valentín, que considera injusta la obligación a los soldados de no casarse y decide unir en matrimonio a las parejas con la bendición cristiana. Así, la figura de Valentín emerge como el protector de los enamorados porque realiza bodas secretas por toda Roma, hasta que es llamado por el emperador Claudio II. Asterius, un lugarteniente de Roma, tuvo a su cargo la condena de Valentín. Se burló de la religión cristiana y puso a prueba a Valentín, preguntándole si sería capaz de devolverle la vista a una de sus hijas ciega de nacimiento. El sacerdote aceptó y se dio el milagro. Asterius y su familia se volvieron cristianos, pero no pudieron salvar a Valentín de su martirio, siendo éste ejecutado un 14 de febrero. Dos siglos después la misma iglesia católica reavivó la historia, y poco más tarde Valentín fue canonizado. Another legend claims that St Valentine wrote the very first 'Valentine' himself, when he fell in love with a young girl (possibly the daughter of Asterius) who visited him in prison. Before his death, it is said that he wrote a card to her which he signed 'From your Valentine', an expression which is used a lot in current day Valentine messages. Because of these stories, without even asking for it, St Valentine became a patron saint for all people in love and in friendships. Otra leyenda sostiene que San Valentin escribió el primer 'Valentin' sí mismo, cuando se enamoró de una joven (posiblemente la hija de Asterius) que le visitó durante su pena de prisión. Antes de su muerte, se dice que escribió una carta a ella que ha firmado con 'De tu Valentin', una expresión que se utiliza hoy en día. A causa de estas historias, casí sin pretenderlo, San Valentín se convirtió en el patrono de todos los enamorados y amigos. Why is it celebrated on the 14th February? 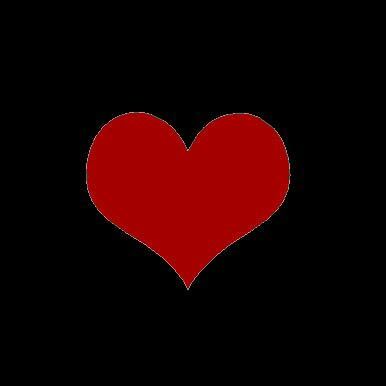 Some think that Valentine's Day is on 14th February because this is the date when Saint Valentine died or was buried. Others believe that it is celebrated mid-February because it was an attempt by the Catholic church to christianize the celebrations of the pagan festival of fertility 'Lupercalia' which started on 15th February. ¿Por qué lo celebramos el 14 de febrero? Unos piensan que se celebra la fiesta el 14 de febrero porque fue la fecha de muerte o entierro de San Valentín. Otros sostienen que lo celebramos a mediados de febrero porque fue un intento de la iglesia católica de cristianizar las celebraciones de la fiesta pagana de fertilidad 'Lupercalia' que comenzó el 15 de febrero. 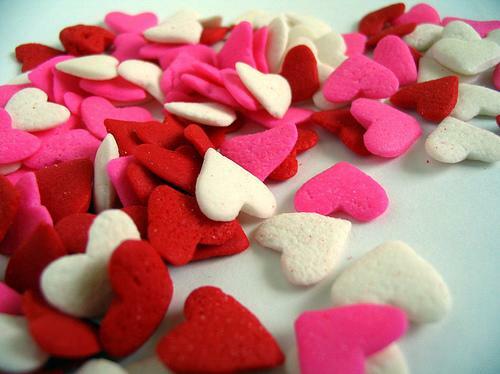 How did Valentine's Day become the widespread and commercialized celebration that it is today? 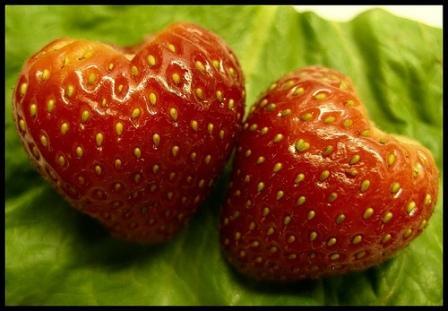 In the United Kingdom during the 17th century, the celebration of Valentine's Day became widespread. In the 18th century, it was common for friends and lovers to exchange love notes written by hand. At the end of this century, printed cards started to replace these letters. In this period, Americans also adopted the tradition and in the 1840s, Esther A. Howland started to sell the first mass-produced Valentine's day cards. Currently, according to 'The Greeting Card Association', a billion Valentines are sent every year. ¿Cómo llegó el Día de San Valentín a ser la fiesta grande y comercializada que se celebra hoy en día? En el Reino Unido durante el siglo XVII, se extendió la celebración del Día de San Valentín. En el siglo XVIII era común para amigos y amantes de intercambiar notas de amor escritas a mano. A finales de este siglo, tarjetas imprimidas empezaron a reemplacer estas cartas. En esta época, los americanos adoptaron la tradición también, y en los años 1840, Esther A. Howland comenzó a vender las primeras tarjetas fabricadas en serie. Actualmente, según 'The Greeting Card Association', se envia mil millones de valentines cada año. In Spain, they started to celebrate Valentine's day in the middle of the 20th century, to create an incentive to buy presents. Often it is claimed that the celebration was introduced by the department store, El Corte Inglés. In Valencia it is celebrated on 9th October, on the feast day of Saint Dionis and in Catalonia the 23rd April is celebrated, as it is the feast day of Saint George, the Catalan patron saint. 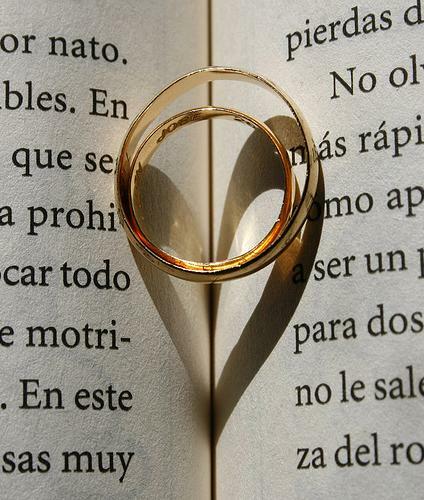 On 14th February in Argentina and Chile they celebrate the 'Day of those in love', a day in which partners (casual, engaged or married) celebrate love and their union with one another. In Argentina they also celebrate the Day of Spring and the Student. 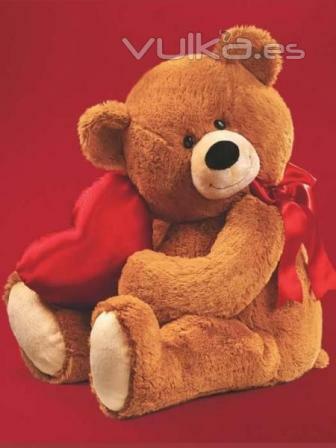 On this day it is customary to exchange cards, flowers, chocolates and teddy bears. This date marks the beginning of the season of Spring. El 14 de febrero en Argentina y Chile se festeja el Día de los Enamorados, siendo un día donde las parejas (sea pololos, novios o esposos) celebran el amor y la unión del uno con el otro. En Argentina, se celebra también el día de la Primavera y el Estudiante. En ese día se tiene por costumbre regalar tarjetas, flores, chocolates y osos de peluche. Esta fecha da inicio a la estación de la Primavera. In Bolivia, they celebrate 21st September, which is known as the Day of the Student, of Youth, of Spring and of Love. In these countries, they celebrate the Day of Love and Friendship and they don't celebrate it on 14th February, but in September instead. 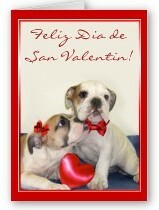 In Central America it is also known as the Day of Tenderness. However, celebrations on 14th February are also growing in popularity, now being celebrated by the majority of partners in a traditional way. Partners celebrate it through the exchange of gifts, the tradition of 'secret friends', with the men giving roses to the women, chocolates and small tokens that demonstrate love and friendship. 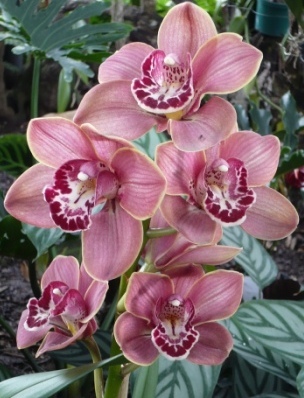 In Peru, among one of the most precious gifts that can be given is the orchid, which are native to Peru. En estos países, se conoce como El Día del Amor y la Amistad y no se celebra el 14 de febrero sino en septiembre. En Centro America también se conoce como Día del Cariño. 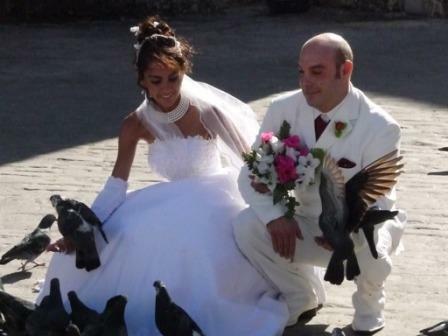 Sin embargo, cada año el 14 de febrero está tomando fuerza, siendo celebrado por la mayoría de parejas, de una forma tradicional. Las personas lo demuestran haciendo de intercambio por ejemplo amigos secretos, regalando rosas los hombres a las mujeres, chocolates y pequeños detalles que demuestren amor y amistad. 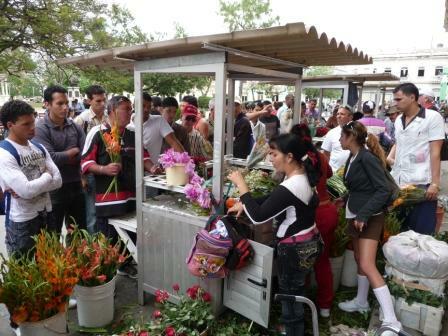 En Perú, dentro de los regalos más preciados se encuentran las orquídeas, oriundas de la flora peruana. In Ecuador and Mexico, they usually celebrate 14th February with roses, chocolate, cards, serenades and evening meals between married couples, girlfriends and boyfriends and friends. En Ecuador y México se suele celebrar el 14 de febrero con rosas, chocolate, tarjetas, serenatas y cenas nocturnas entre parejas casadas, de novios y amigos. Lavish gifts are showered on loved ones on Valentine's Day in Cuba. Although this is mostly a celebration of romantic love between two people, friends and family also take part, through gatherings and parties. Preparing a special meal is a vital part of these celebrations and the whole house is adorned with beautiful decorations and ornaments. 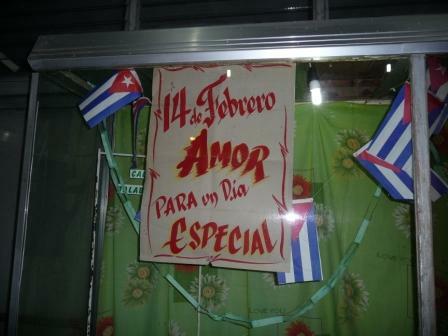 En el día de San Valentín en Cuba se dan regalos espléndidos. Aunque es sobre todo una celebración del amor romántico entre dos personas, amigos y familiares también participan, a través de reuniones y fiestas. Una parte vital de estas celebraciones es la preparación de una comida especial y se adorna toda la casa con hermosas decoraciones y adornos. Cook the perfect Valentine's day romantic meal. Why not try a Spanish theme this year? 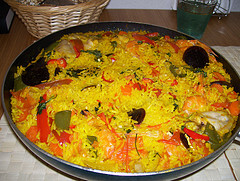 Try our Spanish Regional Dishes or Tapas for some great ideas. Preparar una cena perfecta para el día de San Valentín. ¿Por qué no probar la cocina española este año? Probar nuestros Platos regionales de España o Tapas para unas ideas especiales. Choose the perfect wine to celebrate this special occasion. Find the one that most suits your taste by reading our reviews of Top Spanish wines. 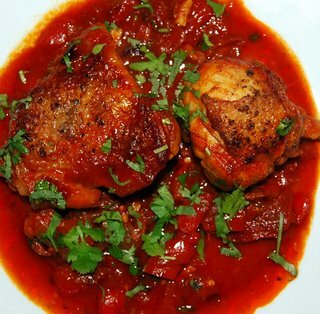 And find out which meal goes best with each wine on our Spanish wine dishes page. 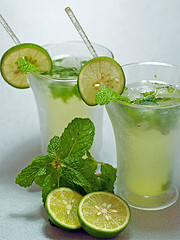 Or, be more adventurous this year and try some Spanish cocktails. Elegir el vino perfecto para acompañar la cena y para celebrar este día especial. Encontrar el vino que le conviene mejor al leer nuestra opinión de Los vinos españoles mejores. Y descubrir el plato que acompaña bien cada vino en nuestra página de Platos con vino español. O, ser innovador este año y probar unos cocteles españoles en vez del vino. Show your loved one how much they mean to you by choosing the perfect card this Valentine's Day . Write a beautiful message inside your card. 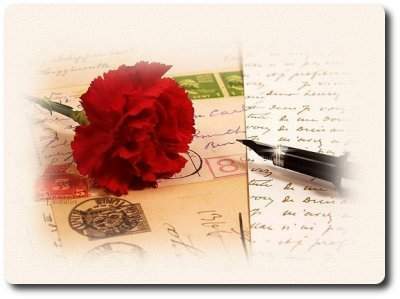 See our Love Poems below for sentimental verses to write inside your perfect card. Why not write it in Spanish to add some latin passion? Demostrar cuánto le quiere a su amor elegiendo la tarjeta perfecta este día de San Valentín . Escribir un mensaje precioso en su tarjeta. Ver abajo nuestros poemas de amor para versos sentimentales que se puede escribir en la tarjeta. ¿Por qué no escribirlo en español para añadir un poco de pasión latina? 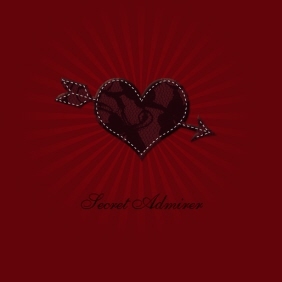 Set the mood for your romantic evening with some Spanish love songs, to help you serenade your partner. Establecer un ambiente de romance con unas canciones de amor españolas, para ayudarle a darle una serenata a su pareja. Es verdad que hoy en día se ha consumido el día de San Valentín la comercialización y hay un montón de regalos de mal gusto que se puede comprar en las tiendas. No obstante, los regalos tradicionales siguen siendo los mejores a comprar para el día de San Valentín. Hacer clic en las imagenes abajo para comprar el regalo perfecto. and it fills me of you. like on the day that I met you.